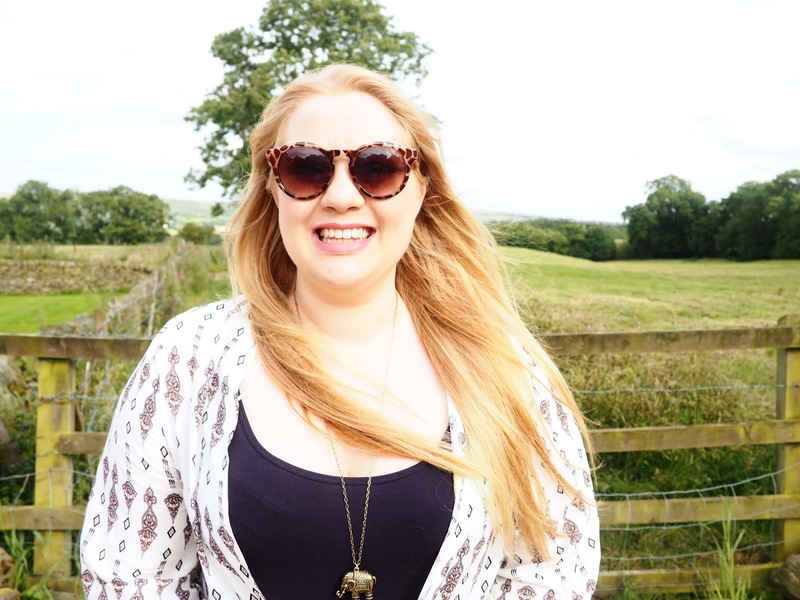 Things have been a little bit quiet over on Essays & Wine the past month, but it's been a very busy month for me, if you've been following me on social media then you might have kept up with whats going on with me. I figured that you might have missed a few important life updates so it's time for a little Life Lately. You can check out my previous updates here. I FINALLY finished Uni! 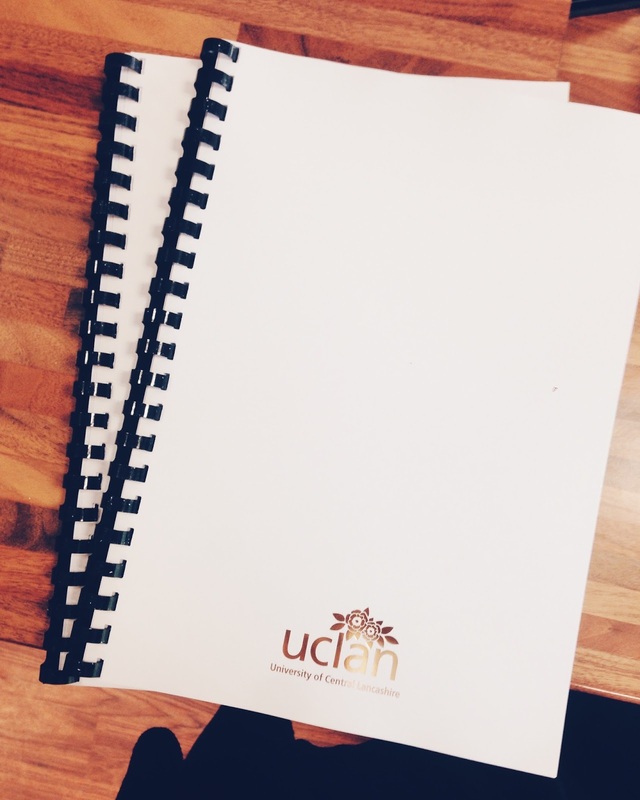 It's taken me a bit longer than most people, but I finally handed in my dissertation and took my final exam and I am now done. It's been a hard year, but I've managed to get through it and I'm pretty proud of that. Now I'm no longer a student and I'm officially an unemployed adult. Time to get my life together I guess! 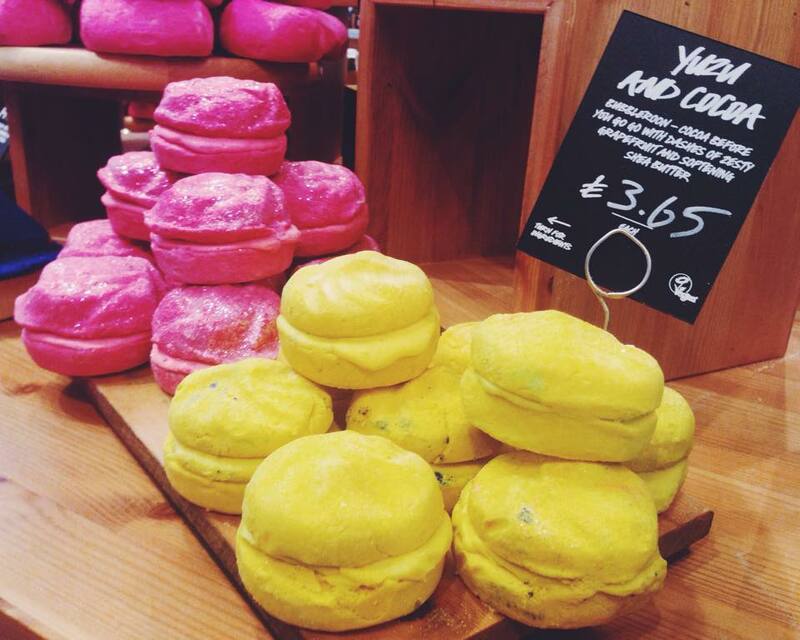 I recently attended my first Milton Keynes blogger event at Lush. It was a really fun night and I got to meet some lovely fellow MK bloggers and also learn about some of the new Oxford Street exclusive products that have been rolled out into other stores. After a game of throw the jelly where we all introduced ourselves we split into groups and heard about the new bath products, face and body products and soaps. 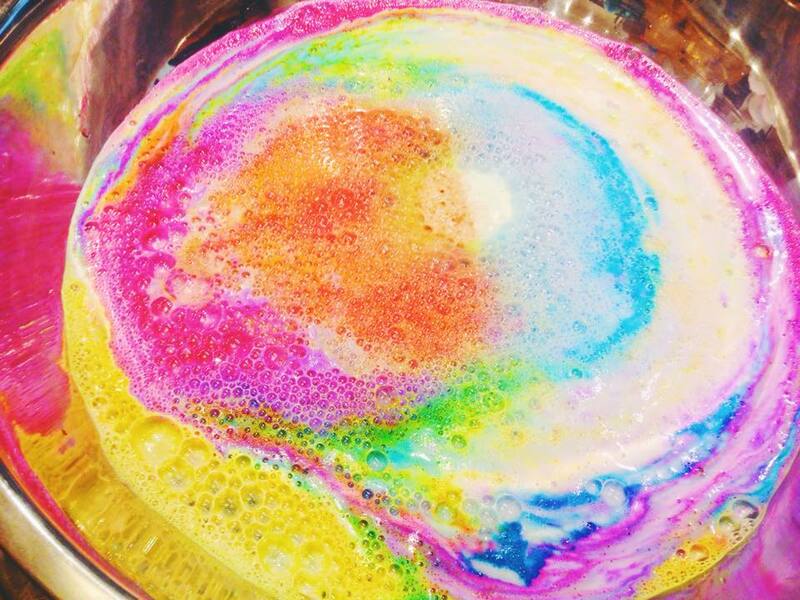 The experimenter (first photo) makes an amazingly colourful bath and i'm so excited to try that out when I need cheering up! 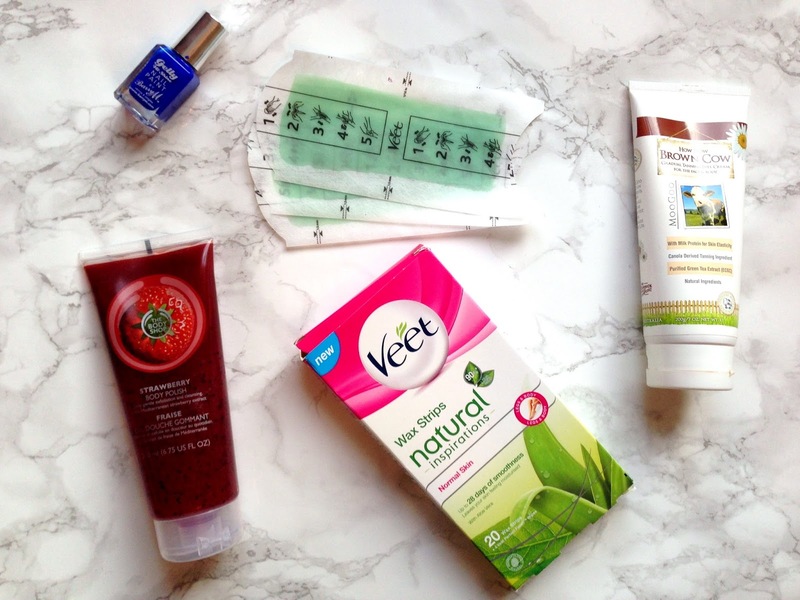 I fell in love with so many products and picked up a few bits, as well as coming home with a little goodie bag. I'm hopefully going to be showing them in a haul soon (on youtube!) so look out for that. 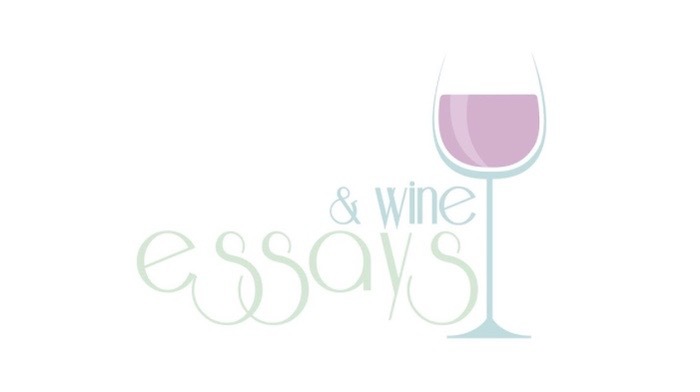 You will have most likely noticed that Writing Essays With Wine has had a little makeover and is now Essays and Wine. A new design, a sort of new name and to go along with that I hit 1000 followers on bloglovin! I'm so unbelievably happy, I can't believe my little blog has grown so much and I'm so proud of every little milestone I reach. I'm also in love with my new design, it's not exactly how I'd like it but that's just me being picky. Thank you to everyone that follows my blog, reads my posts and connects with me on social media, it means the world to me. You're all amazing. Heres to Essays and Wine growing even more! Finally, let me introduce you to the newest members of my family, my baby girls; Bumble & Bee. These beautiful sisters are very tiny and very adorable. 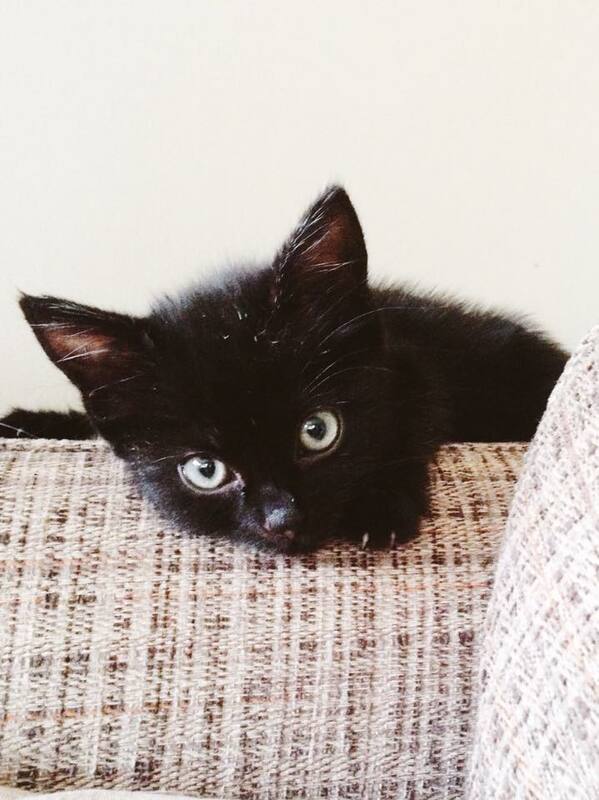 Bumble The Explorer is all black and very adventurous, she's under sofas, behind beds and always getting herself into mischief. Her little sister Princess Bee loves a bit of love, and likes being close, she naps pretty much constantly and wants to get her nose into any hot drink despite every effort to keep her away! They both love to climb all over my laptop, go crazy for chicken and have settled in amazingly. I'm so happy to have them and they really are my babies, when Bee meows at me it slightly breaks my heart that I don't know what she wants! However, kittens poop smells bad. I can't wait for them to be able to explore outside and poop in places I don't need to clear up! Bumble is very excited to explore the outdoors and has already attempted an escape out the back door! So my life has had some big changes recently. Im gradually getting back into the swing of blogging and hope to get back to schedule. I'd love to know what you've been up to recently, and please leave me links to your blogs because I really need a catch up! 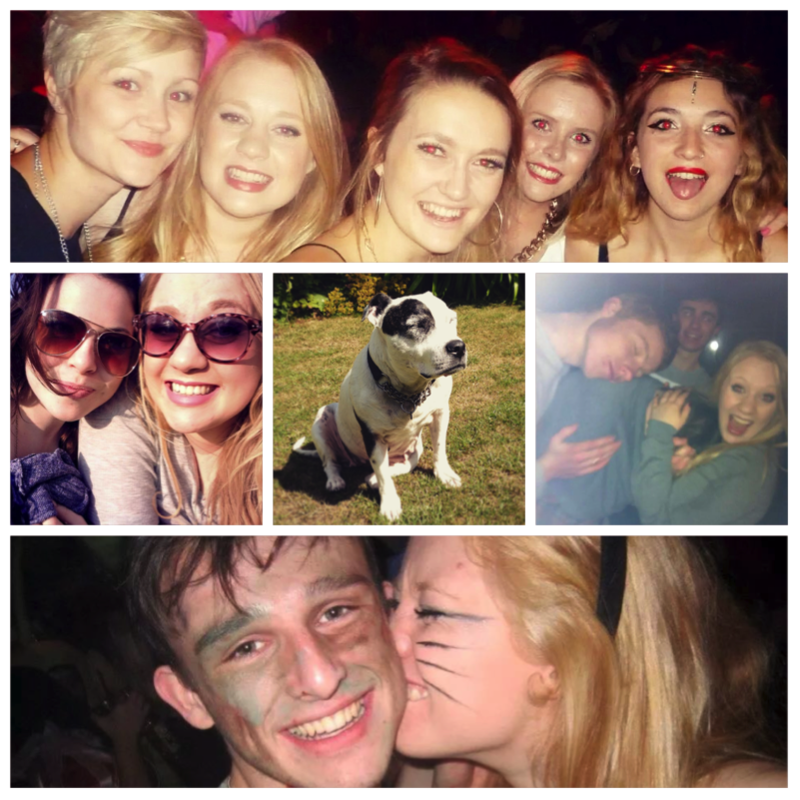 As you'll probably know, this Summer I moved home from uni for good. This meant coming home to a room that I hadn't really lived in for 3 years. It didn't really feel me any more and needed a good organise and tidy, so when Room4 Interiors got in touch and invited me to take part in the Blogger Desk Challenge it was the perfect opportunity to sort my desk out. I was tasked with giving my desk a makeover with £20. 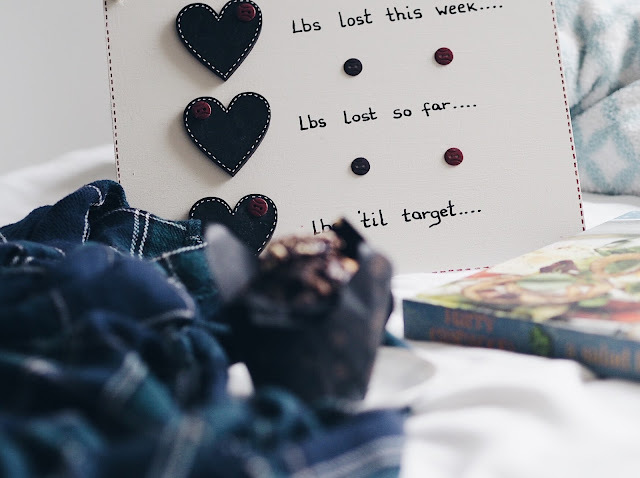 I use my desk as both a dressing table and a desk for working at, so I wanted to try and organise things to make the most of my space, and also to add some personality and start making my room feel a bit more like me. This is what my desk looked like to begin with. A mess. I had letters, notebooks, makeup and perfume all over the place. It also just did look very nice, I was storing my makeup brushes in bright red cups! I decided I wanted to work on making it look a little bit prettier and finding better ways to present the things I wanted to keep on my desk. After scouring the internet for days, seriously my pinterest board was filed with photos of makeup storage and desks, although, most of those photos are serious house goals but they're not really doable with the desk I've already got and the budget I have! I eventually decided on what I wanted to do and started hitting the shops to try and find exactly what I wanted. I'm pretty happy with how it all turned out to be honest. I also moved some bits off my desk and added some bits I'd yet to unpack from moving back home. This is the finished result. 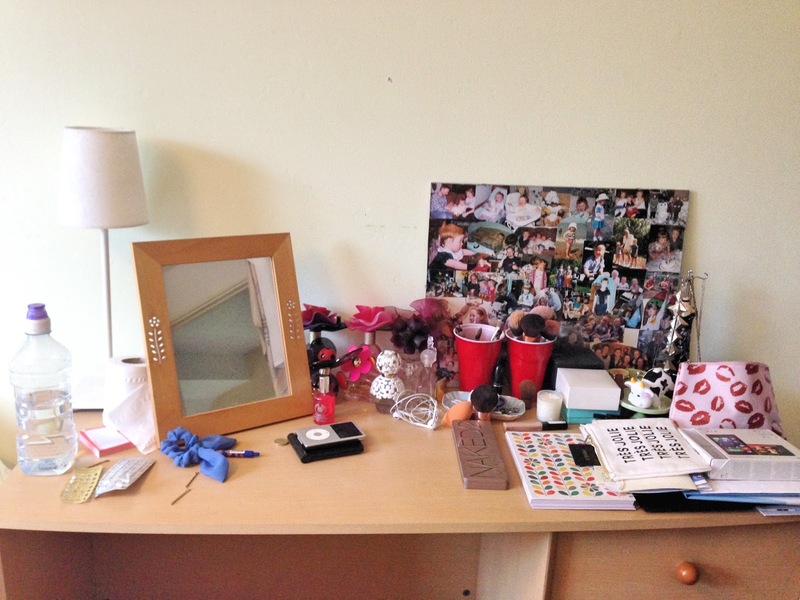 The right side of my desk is my dressing table. I've taken off my jewellery and random bits and bobs including the big photo collage I got for my 18th birthday. To display my perfumes I picked up this cake stand from Hobby Craft for £6 which is such a bargain, it's white with a detailed edge and is perfect for adding some height and displaying perfume. You could also use it for cakes I guess. For my makeup brushes I had been on the hunt for alphabet mugs for ages, but they were all expensive, so when I saw this 'e' mug in Tiger for £2 I grabbed it! I had wanted an 'm' as well but they didn't have any. Instead I picked up these white pots, also £2 each, one with a black triangle design and one with black lines. The one with black lines is being used as a pen pot on the 'work' side of my desk. I also picked up the tiny white bucket which Im storing cotton buds in, and the cardboard 'E' and 'M' coming to £2. The wall above my desk is definitely the main feature and I love it. For this I brought some pretty pastel coloured twine and some tiny pegs coming to £5. 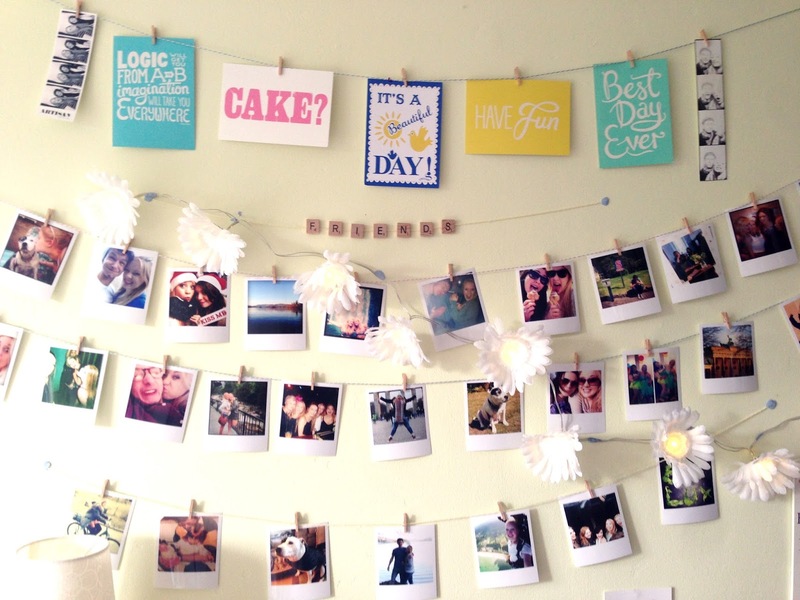 I then strung pieces across my wall and pegged up some polaroid style photos I had, as well as some postcards you will have seen on my uni room wall. 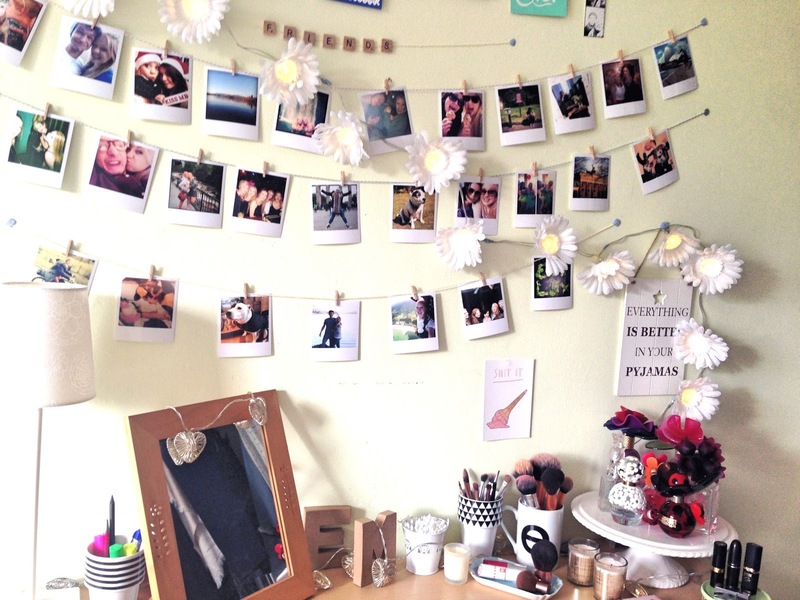 I added in some daisy fairy lights, as well as some heart fairy lights draped around my desk and it finished it off perfectly. With my laptop in the middle and my line a day diary, notepads and pens to the left my desk was finished off. Altogether I spent £19 so a little bit under budget, but I'm really happy with what I've done. My desk is a lot more appealing to sit at and do some blogging now! If you're looking to give your desk a bit of a makeover, Room4 have some really nice desks, and Qwerkity have some great creative gifts that might work great on your desk. What do you think of my desk? 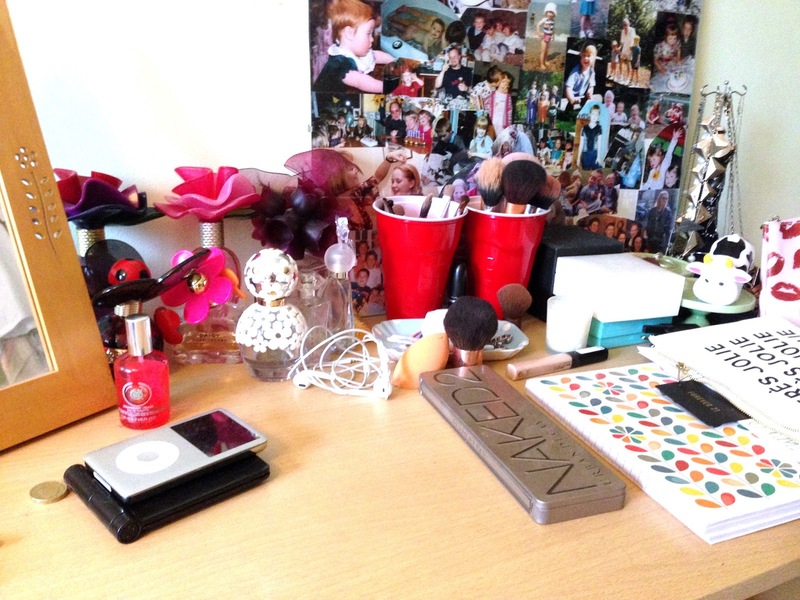 Do you have a multifunctional desk/dressing table? 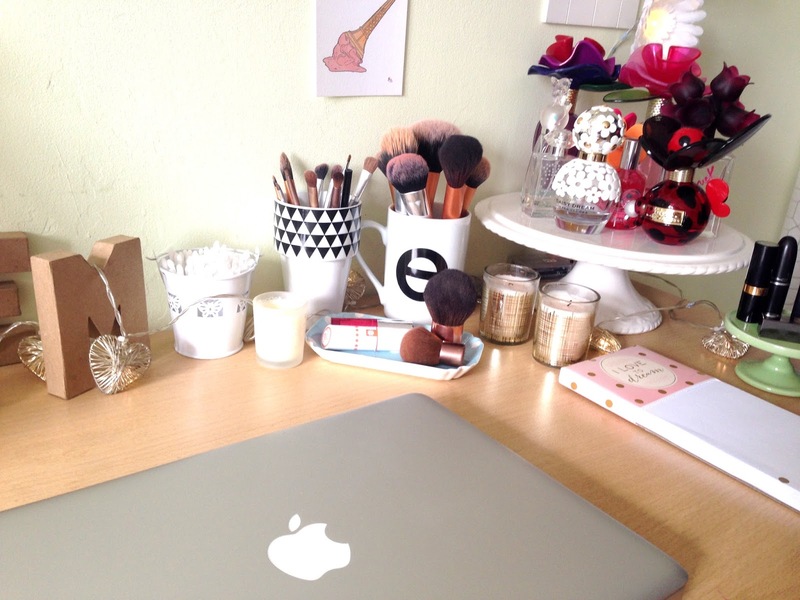 How would you like to spruce up your desk? *Room4Interiors provided me with £20 to purchase these items as part of the challenge. I've had an iphone for the longest time, in fact my current iPhone 5 is coming up on 3 years, which is pretty impressive if you ask me! I love Apple products, my current and previous laptops have been Macs and I genuinely love how apple products work and look. So when Microsoft got in touch and asked if I'd like to get involved in their #LumiaVoicesTrial campaign with a 2 week trial of the Nokia Lumia 735* I was a bit hesitant. Firstly, you might be wondering, Microsoft? Nokia? Well Microsoft recently brought Nokia and therefore the Lumia is a Windows phone. As my iPhone is on it's way out (the battery life if terrible) I decided this would be a perfect opportunity to test out something different and see if I could be converted away from my trusted apple products! 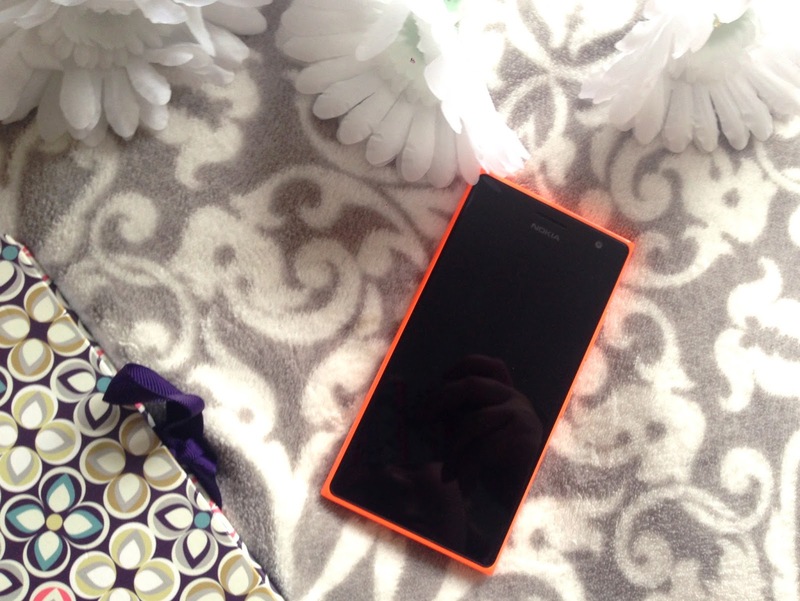 When the phone arrived I was immediately drawn in by the colour, a super bright orange, you definitely wouldn't loose this in your handbag! The size of the phone is bigger than what I was used to but I was surprised to find I actually really liked the size, it's also very slim and lightweight and sits nicely in your hand. I do think it is slightly too big but as 'bigger is better' seems to be the trend with smartphones these days I can understand the size. The windows interface of the Nokia Lumia was something totally different to what I was used to so it definitely took some adjusting! I actually quite like the layout, as you can move around the apps, change the size of them and move some off your main screen and just have them in the main menu section. My main problem with the Nokia Lumia was both the lack of available apps (no snapchat?!) in comparison to iPhones, as well as the basic nature of the apps that were available. They just felt like they didn't flow as well as possible, for example YouTube didn't have a specific app it was just accessed via the mobile website. I also found notifications didn't come through as quickly as my iPhone and in some cases didn't come through at all! Something I loved about this phone was definitely the camera. Labelled as the perfect selfie phone the Lumia 735 has a 5MP front face camera, compared to the iPhone 5’s 1.2MP front facing camera this is pretty impressive. 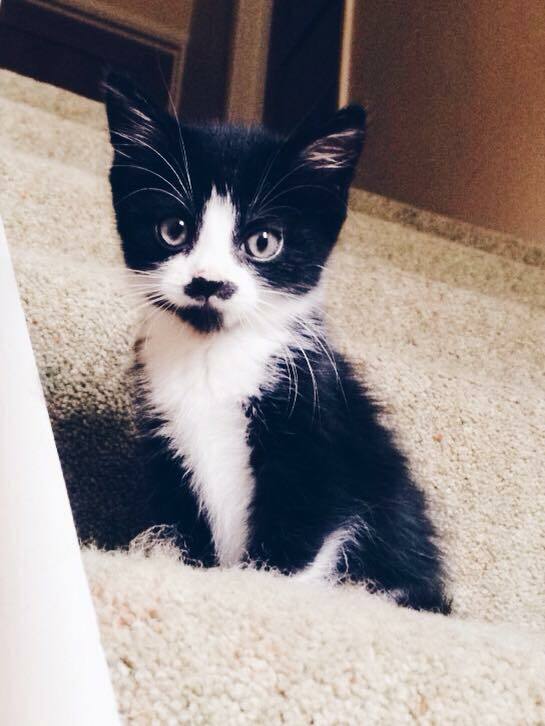 The back camera is 6.7MP and takes some pretty great shots, like the one of Bumble my kitten below. 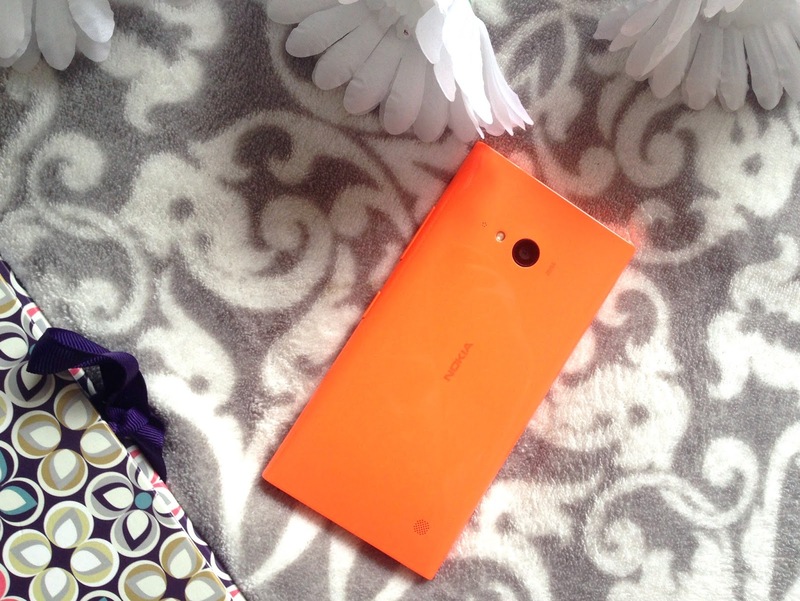 The photos are great quality, rich colour and the Lumia Creative Studio lets you edit and add a filter. I'd definitely recommend this phone to someone wanting to get some great photos and selfies! 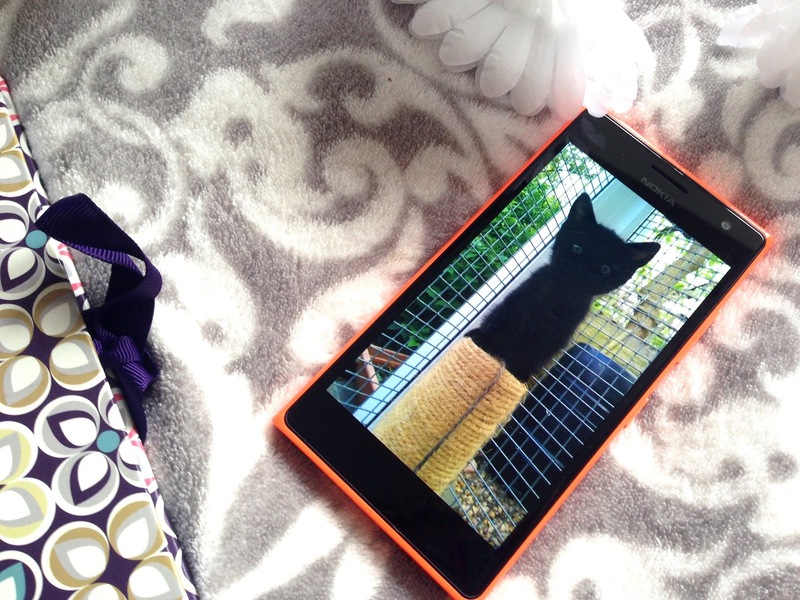 Overall I found the Nokia Lumia 735 to not fit exactly what I wanted. It felt like I needed an upgrade to get it where it needs to be to compete with other smart phones. 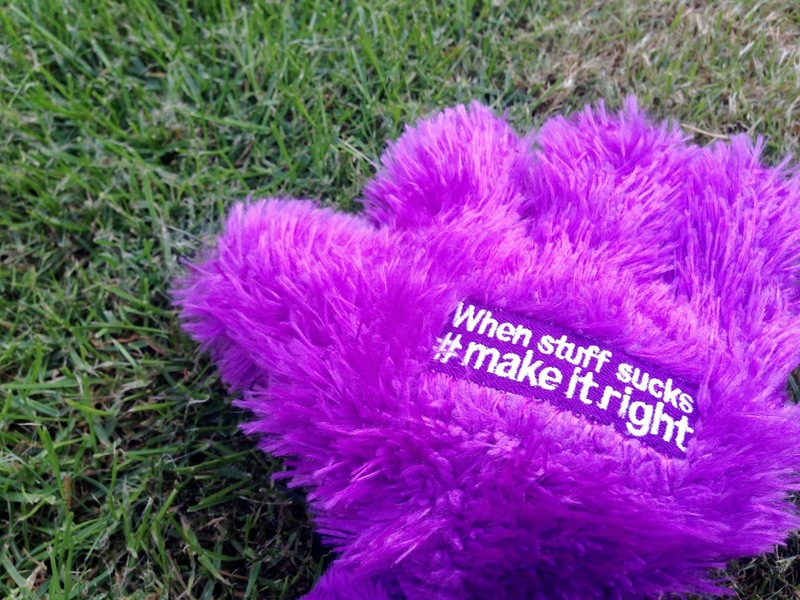 More and better designed apps are needed, it needs to be faster and more responsive. However I do think the interface works well, the camera is great and the handset itself is nice. At around £140 this phone is considerably cheaper than most other smartphones, especially the iPhone! The price definitely makes the phone more appealing, and I think with just a few improvements this phone would be a really great contender and something I'd consider breaking my loyalty with Apple for! 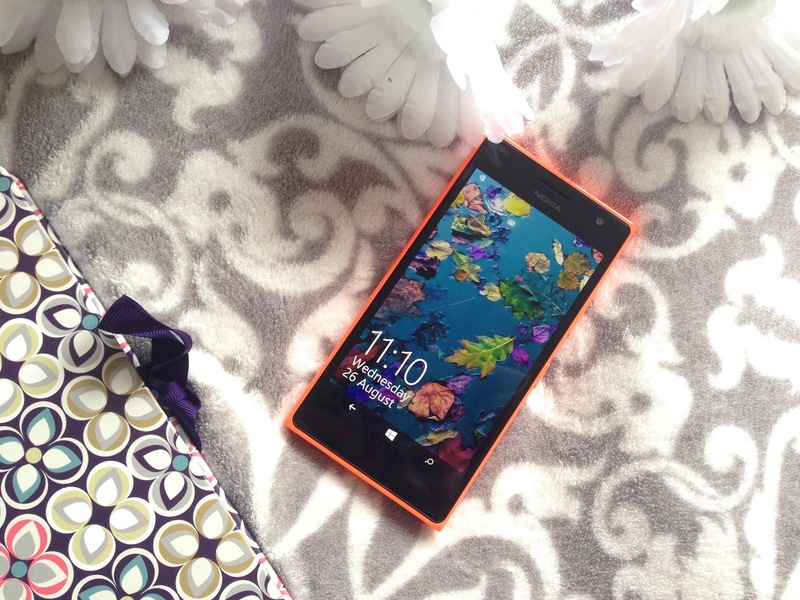 Do any of you have a Nokia Lumia phone I'd love to know your thoughts? Or are you an Apple lover like me? 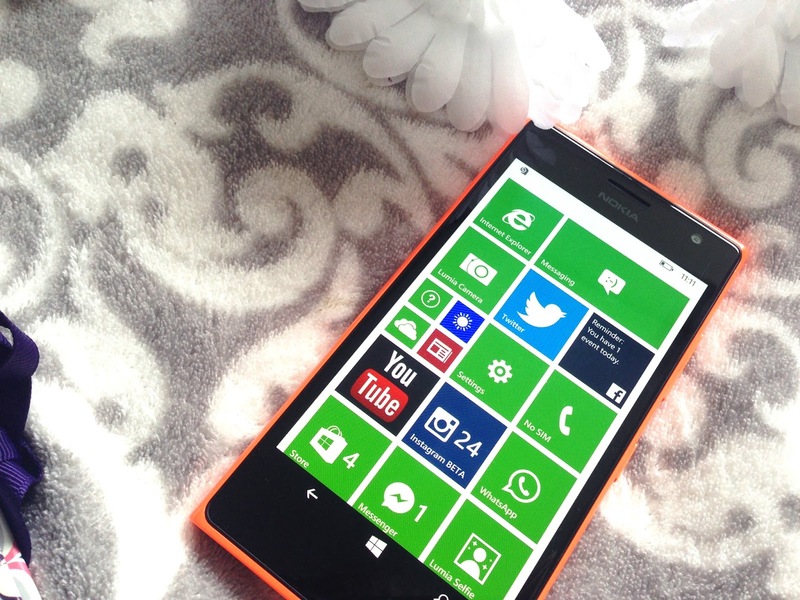 *Microsoft sent me the Nokia Lumia 735 for 2 weeks to trial and review. However all thoughts and opinions are my own. Times are hard right? We're paying more for day to day living yet benefits are being cut and a lot of people are struggling to make ends meet. This is where Food Banks come in. They're popping up everywhere and more and more people are having to turn to them for help feeding their families. 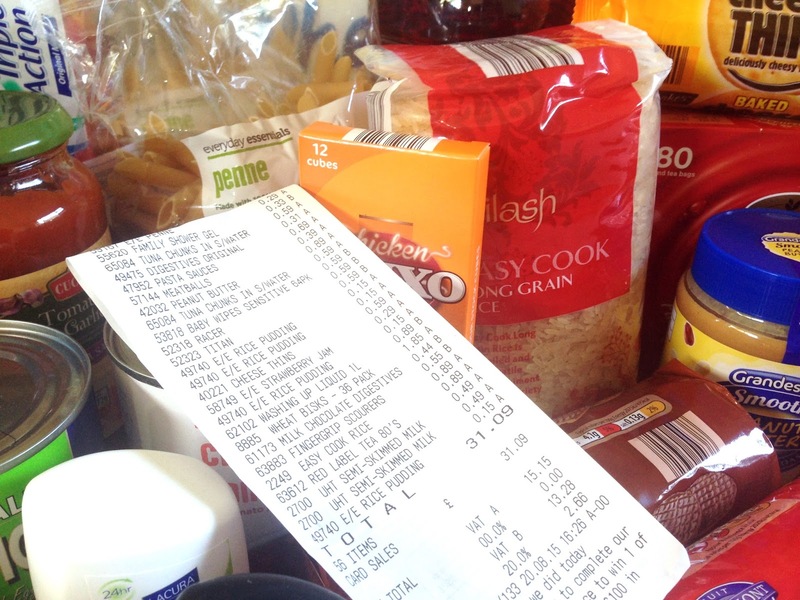 Some supermarkets have begun to introduce food bank donation boxes into their stores so you can donate while doing your weekly shop, however you can also donate directly to a food bank, or donate financially. Think Money have been working with independent food banks to identify the reasons behind the rising food poverty in the UK. When they got in touch and asked if I'd like to get involved in their Food Bank Challenge I immediately said yes, not only was I happy to promote such a great cause, but I was also interested to see what I could do. 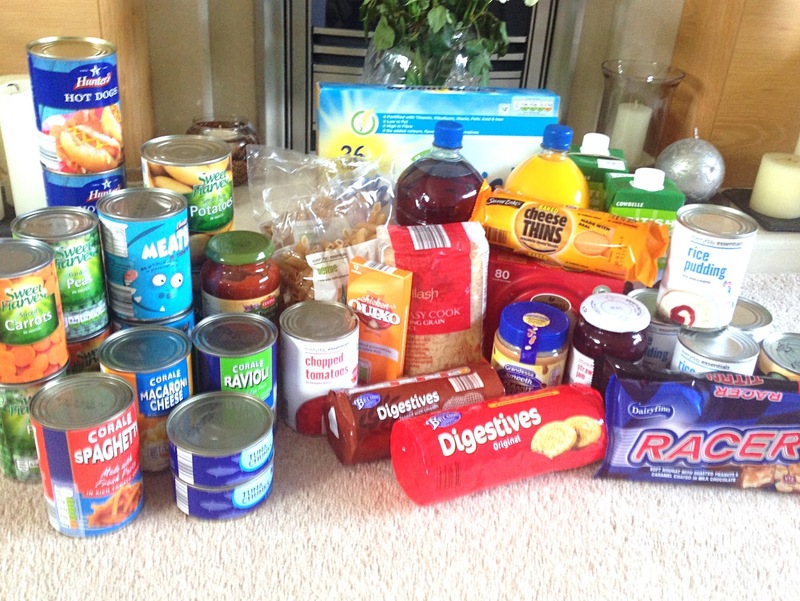 I was given £30 and challenged to get as much as I could to donate to a local Food Bank. Being a student I was hoping I'd be a smart shopper and be able to get as much as possible for my money! I started out by finding out where my local food bank was, they're often run by churches and mine was at the Trinity Methodist Church in my town. They had a list of products they needed on a regular basis so I made my list and headed out. I decided to shop at Aldi as I've personally found it considerably cheaper than other supermarkets yet the quality is still good. I wanted to get as much as possible for my money. All of the products are tinned or packet with no fresh produce, it would be best to check with your local food bank to see if they accept fresh produce because obviously packaged products have a long shelf life. I mostly kept to the basics, cereal, biscuits, pasta, rice, long life milk, squash, jam and tea. A lot of the products were tinned, and this is a great way to be able to donate vegetables, I picked up tinned peas and carrots and also a big tin of new potatoes for 15p! Meat and Fish is also difficult to purchase not fresh, however I managed to get some tuna, hot dogs and meatballs in tins. I also added macaroni cheese, spaghetti and a tomato pasta sauce to my trolley. Rice pudding was another bargain find at 15p so I picked up a few cans of this. My local food bank also asked for household and personal hygiene products. This was something I hadn't really thought of but it's definitely something that should be considered as these products can really add up. I picked up cleaning products and kitchen necessities, as well as deodorant, tampons, face wipes, toothpaste and baby wipes. Although I didn't get any you could also buy baby products such as nappies and baby food, or cater for those with a food intolerance with adding in some wheat, gluten or lactose free products. Overall I spent £31.09, so I went slightly over budget but I think I managed to get a really good range of products. 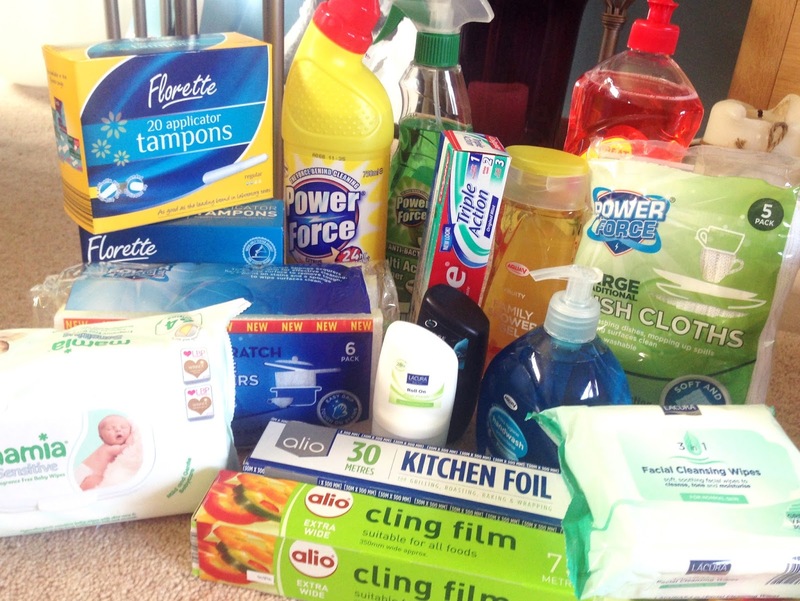 I defintitely think shopping at Aldi was the best option, with the most expensive thing being the kitchen foil at £1.89, the majority of items were below £1 and some things were below 20p! Which is such a bargain and really allowed me to get a good selection. I definitely think donating to a food bank is a really great way of helping others out and contributing to those in your community who may not be as good a position as yourself. 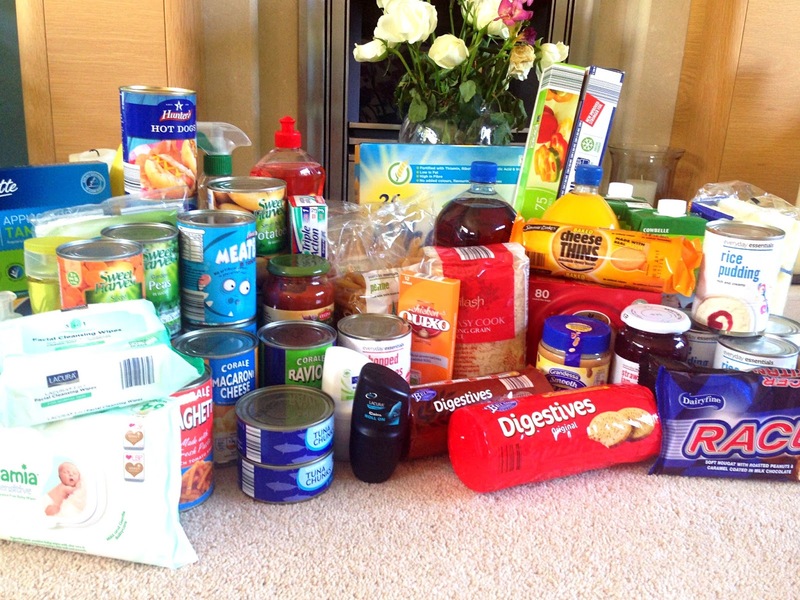 However you don't have to do a full shop like this, you could purchase a few things and drop them into your local food bank or a supermarket food bank box. Make sure to shop within your means and only donate what you can. Also, if yourself, or someone you know is suffering from Food Poverty or could maybe do with a helping hand now and then mention food banks to them. There is no shame in needing some support, especially with the gap between the rich and the poor growing. I'd love to know if you've ever donated to a food bank, or if it is something you'd consider doing? What would be your bargain donation item? *Think Money provided me with £30 to purchase this shop and I donated it to a local food bank. All thoughts and opinions are my own and I would donate to a food bank again with my own money. 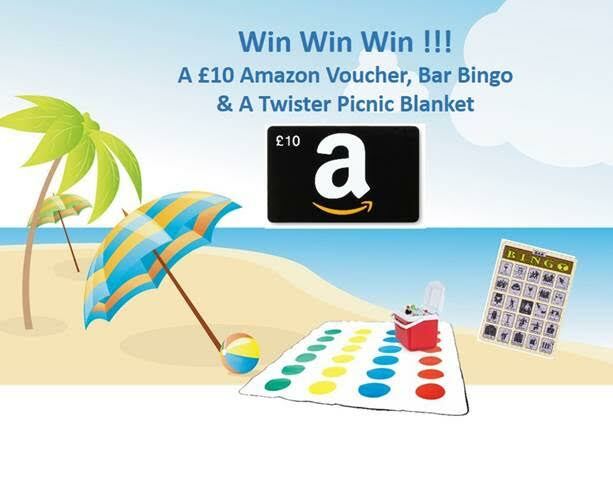 Never one to deny my followers with the chance of winning something, when Paddy Power Bingo got in touch and asked if I'd like to run a Beach Bingo themed giveaway for my wonderful readers I of course said yes. So to hold on to the last bit of Summer, which seems to be disappearing so quickly you can win yourself some Bar Bingo playing cards, which look like a really fun game to enjoy with some friends at a bar. 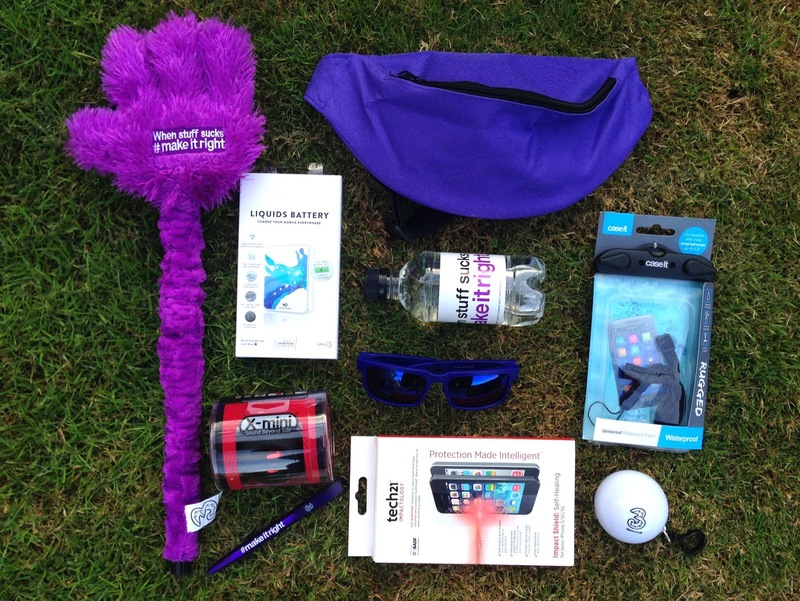 Get on the look out for group shots, lipstick marks and cheeky pick ups! 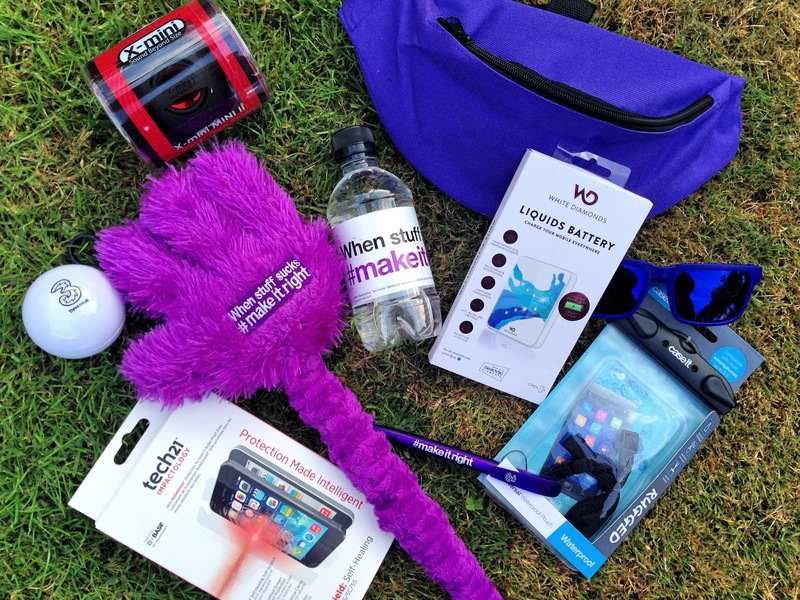 What better way to get over a hangover than with a picnic in the park, or on the beach or even in your garden. Enjoy the sun and lounge on this Twister Picnic Blanket, and yes it does come with the spinner so you can have a hilarious game of twister as well! Finally you to add to the giveaway is a £10 Amazon voucher, which you can use to buy basically anything you can think of, because let's be real, what doesn't Amazon stock! To enter this giveaway fill in the Rafflecopter form below. 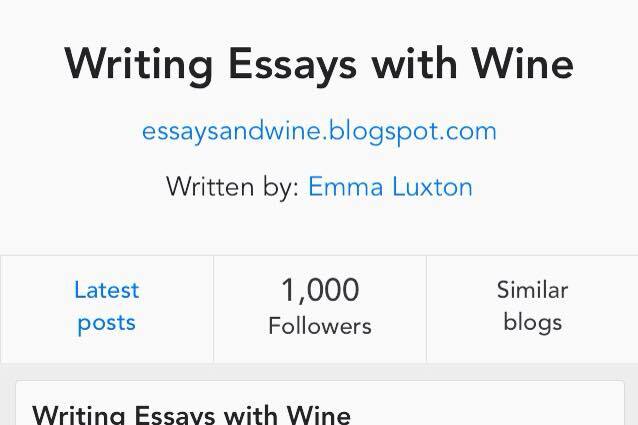 Compulsory entries are following Writing Essays With Wine on Bloglovin and twitter. 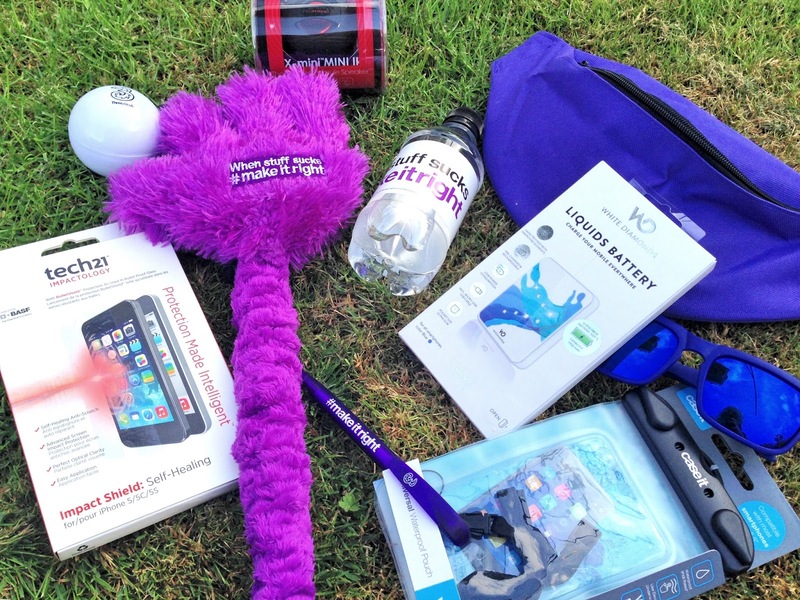 The giveaway will end on midnight 31st August 2015. The prize will not be sent out by myself and I hold no responsibility if the prize does not arrive. *PaddyPower Bingo are providing this prize for me to giveaway. I also received this prize bundle myself. I love Kimonos. You'll know that from my Kimono Versatility post. This Kimono jumped out as soon as I saw it and I knew I had to have it. It's a gorgeous tile print, with some blues and pinks. As this is such a statement piece I've mostly been keeping it simple and wearing it with denim shorts, jeans or, like in these photos, leggings. The comfiest item of clothing I own and they go with pretty much everything, not the most flattering thing on my just about plus size body, but I don't care, I felt great in this outfit! Paired with my favourite gold elephant necklace which Josh got for me in Berlin (it was only €3! 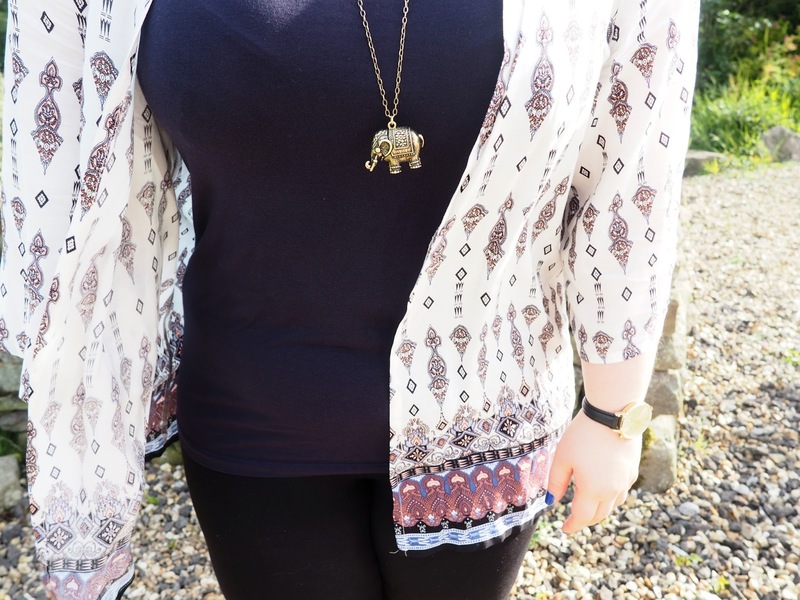 ), a navy vest top, which works perfectly with the navy in the Kimono, and a pair of grey flats from Primark this outfit is a simple, easy, relaxed outfit, but in my opinion it's still really nice. Add in my Primark sunnies and you're ready for a day in the 'sun'. It's obvious from this outfit that I'm a fan of Primark & New Look, and in fact they probably are two of my favourite places to shop. Primark because it's so cheap and great for basics and accessories, and then New Look, which has always been one of my favourite places to shop. I think it has some really nice clothes and the sizing is usually pretty on point, unlike some shops, I'm looking at you H&M! Thank you to my beautiful photographer, Sophie. You should all check her out because she takes amazing photos and she's a pretty wonderful human being. I'd love to know what your go to 'simple but still nice' outfit is? 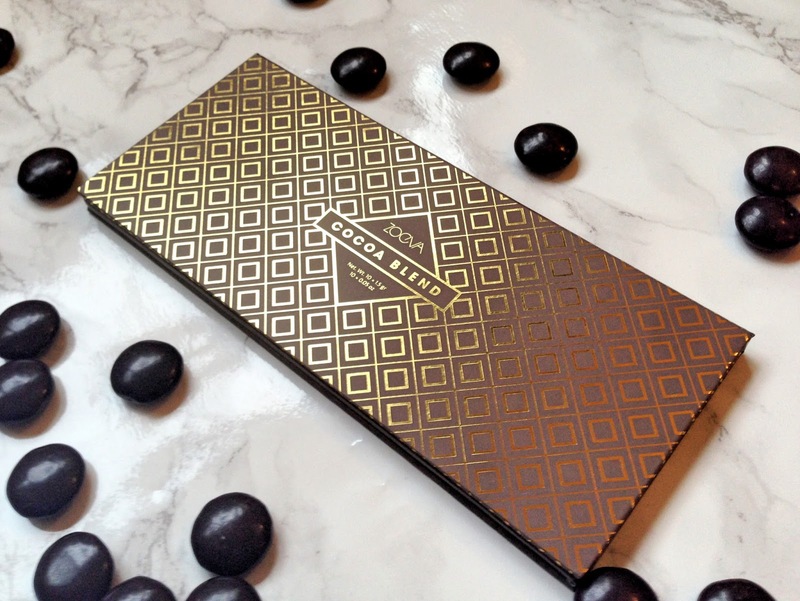 After seeing the Zoeva Cocoa Blend Eyeshadow Palette all over blogs a few months ago I immediately fell in love, the colours looked gorgeous and the reviews all sounded great. However I didn't look much further into it, assuming that a Zoeva eyeshadow palette would be out of my price range, I'm also more of a cool toned eyeshadow girl so I wasn't sure how I'd get along with this palette. There was also the problem of not needing any more eyeshadow palettes after treating myself to the Naked 2 and then trying out Cargo Cosmetics Lets Meet in Paris palette. However after scrolling through the Beauty Bay site in an attempt to distract myself from writing my dissertation I noticed that this palette is only £15.50! This totally shocked me as being really cheap, especially after hearing such great things about it, so I immediately ordered it and with free shipping it was at my door in just a few days. 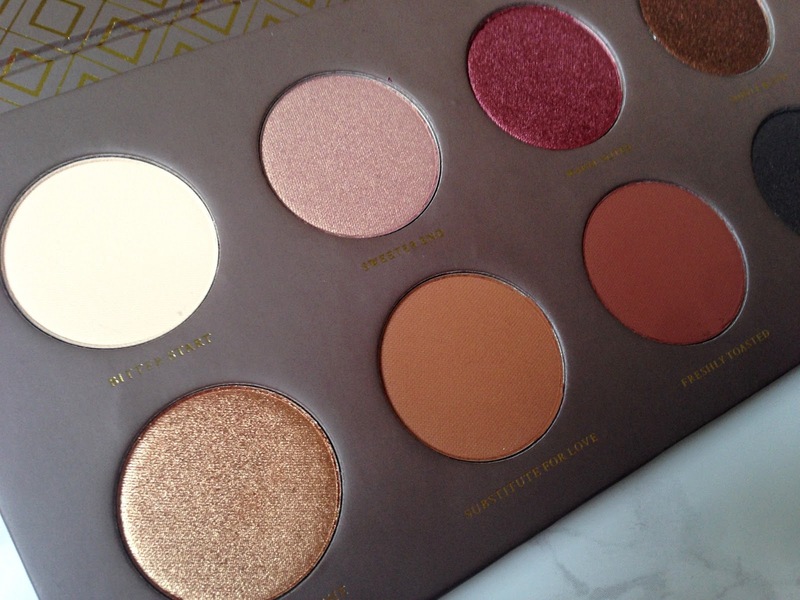 As soon as I opened it up I was in love, it's a beautiful palette to look at, in cardboard packaging it's sturdy and durable but isn't heavy or bulky, a great palette for travel. It has a magnetic clasp so will stay shut in your makeup bag. 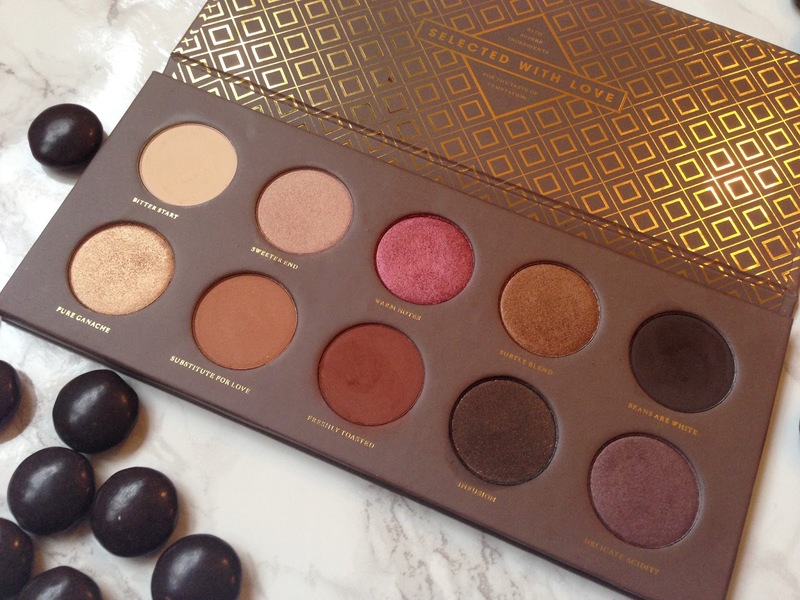 As you can probably expect from the name, this palette has a chocolate theme, the colours are all quite warm toned and rich. There is 10 eyeshadows altogether with 4 matte shades, some more shimmery shades, a couple of more metallic shades and one glittery shade. There is a nice range of colours with some great statement colours and also some more neutral shades, they all work really nicely together and you can really make a lot of different looks from this palette. What has really blown me away with this palette is the quality of the shadows, they're very creamy, really pigmented and blend nicely. There is a bit of fallout with some of the more intense colours, especially if you want to pack them on, but that is expected and nothing that can't be fixed with tapping some of the excess off your brush. Applied with a primer or a base these colours really come into their own, however they still look amazing without a base or in a more subtle look. As you can see, all of these shades swatch amazingly and are super pigmented. Bitter Start is the first shade and is a matte pale cream/beige shade, it's a great highlight shade, or an all over base shade to start out with a neutral base. The texture is very creamy and applies nicely, although is a bit dusty, but again, nothing a tap of the brush can't fix. Sweeter End is a gorgeous dusty pink with lots of gold shimmer that gives it a peachy look. Next up is one of my favourite shades, Warm Notes, normally I'm not one for pink eyeshadow but this shade is just so lovely, a rich bright cranberry shade with a slight coppery undertone and a metallic finish, this shade looks amazing packed onto the lid. Subtle Blend is a warm medium bronze shade this blends out amazingly and is a great neutral shade with amazing pigmentation and consistency. 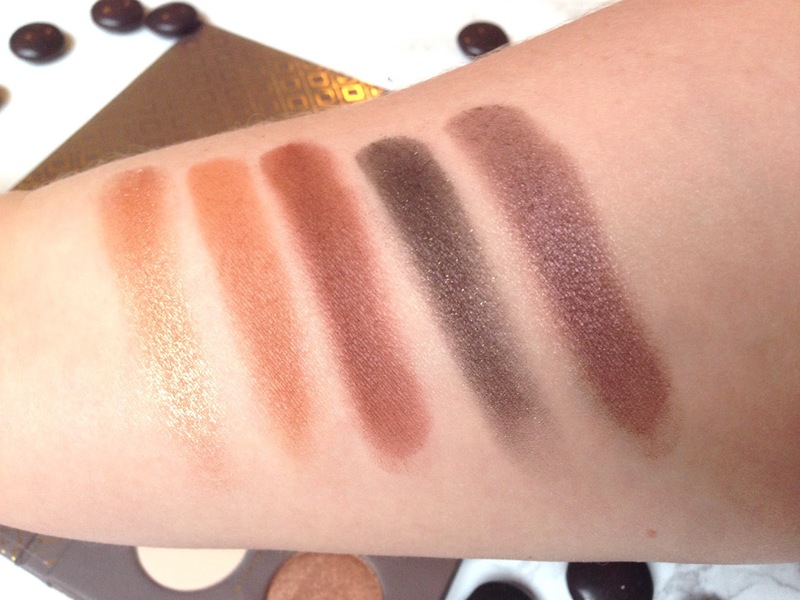 Finally Beans Are White is a very dark brown, the most neutral-cool toned shadow in the palette it is slightly less pigmented than the other shades and takes a bit more building up to get to it's true colour. However it blends great and isn't crumbly or dusty so you don't get much fall out. Pure Ganache is a golden copper shade with amazing pigmentation, it is a metallic finish and applies beautifully and is true to colour, it also stays amazingly on the eye, especially with a primer. Substitute For Love is a mostly matte shade, with a very faint glitter that is pretty much undetectable, it's a warm toned orange brown shade that works well as a transition shade, along with Freshly Toasted a darker, red toned brown matte shade. Infusion is probably the shade I will use the least, however it's still a very pretty shade. A blackened brown shade with small flecks of golden shimmer, it blends nicely but again takes a bit of building to get it exactly true to colour. Lastly is Delicate Acidity, a colour I have nothing like and one that I hope to get a lot of use out of. It's a mix between plum and taupe, with a pearly sheen to it. It's a really gorgeous shade and looks amazing on. 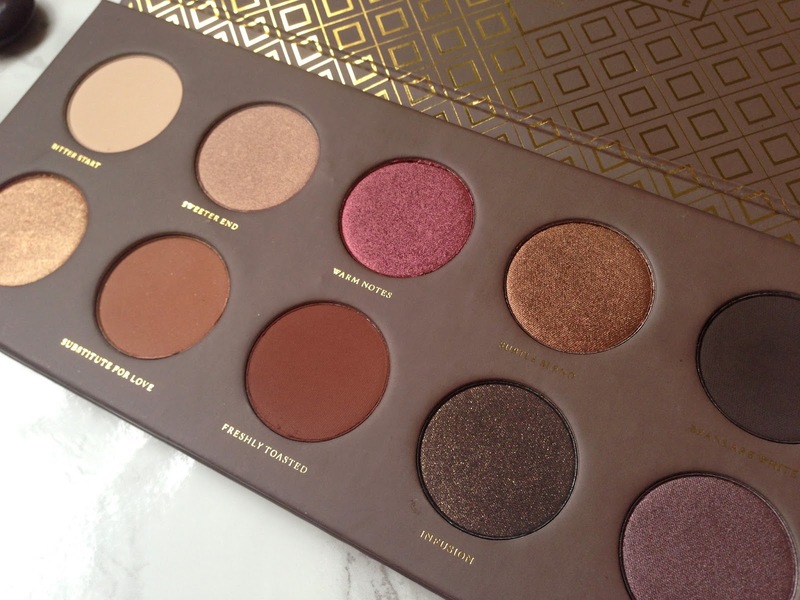 I don't really have anything bad to say about this palette at all, the colours are lovely, pigmented and apply well, the consistency is creamy and the shadows all blend nicely. It's also got a nice mixture of mattes and shimmers although I normally prefer cool-toned shadows I've really enjoyed using this palette and experimenting a bit. 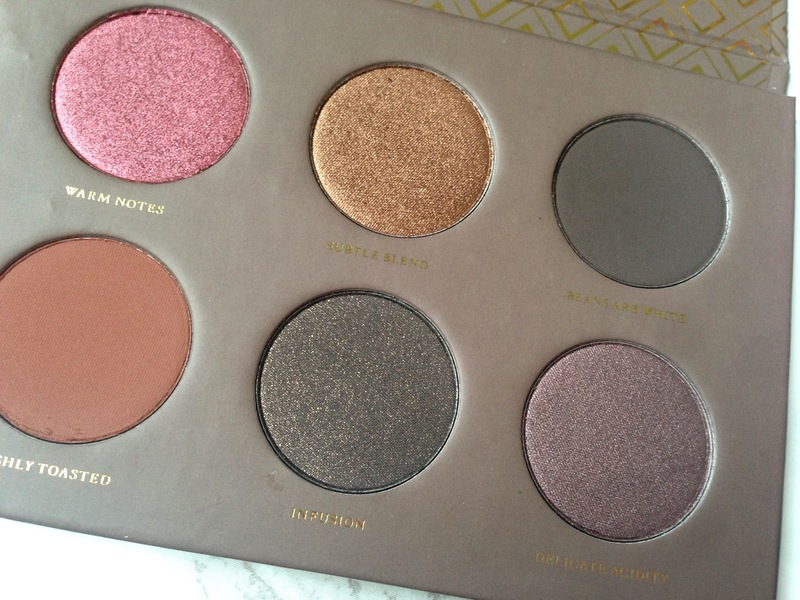 I would definitely recommend picking up this palette, and I'm now very tempted by some of Zoeva's other palette offerings. At only £15.50 this is definitely a bargain and worth every penny in my opinion. 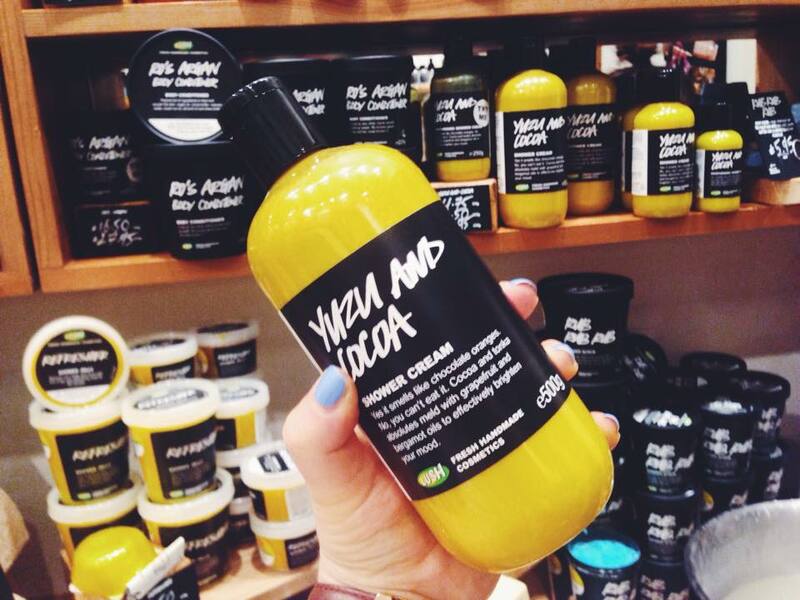 You can buy it directly from Zoeva here or via Beauty Bay when it is in stock. 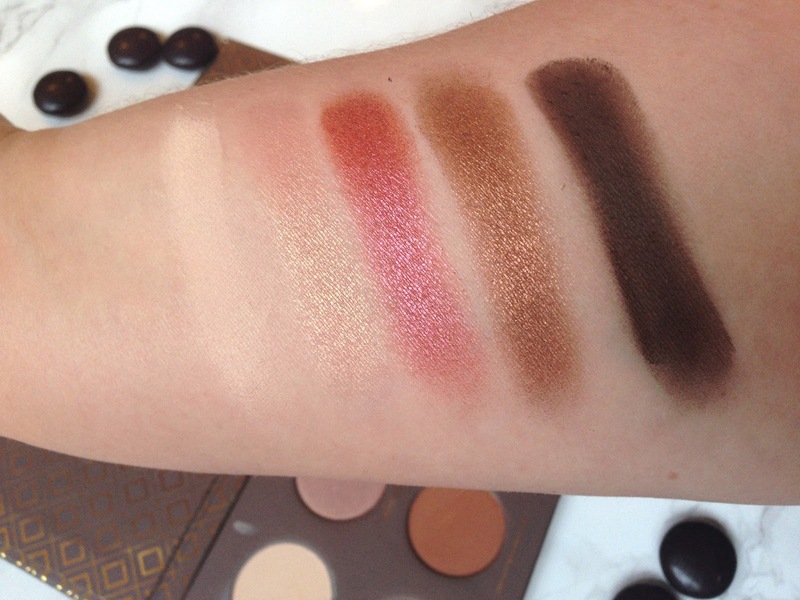 Have you tried the Zoeva Cocoa Blend Palette? What is your favourite eyeshadow palette? I'm always looking to try new ones. It feels like Summer has already been and gone even though we've only just got in to August, however with the hope of sun coming our way for the rest of the month I've decided to prepare my legs for Summer. Since my Summer so far has consisted of spending all day at my laptop attempting to finish my degree, my legs haven't really had the pamper they deserve, nor are they ready to be seen by the world! Although I do like to shave my legs, as society has ingrained it into my head that hairy legs aren't attractive or even acceptable (that's a whole other blog post), I don't think it's necessary to 'prepare' any part of your body for Summer, just remember, you do you, if you don't want to get rid of your leg hair or fake tan, or even paint your toe nails you don't have to! Anyway, I personally feel pretty great when I've had a bit of a pamper, especially when Im wearing a dress. 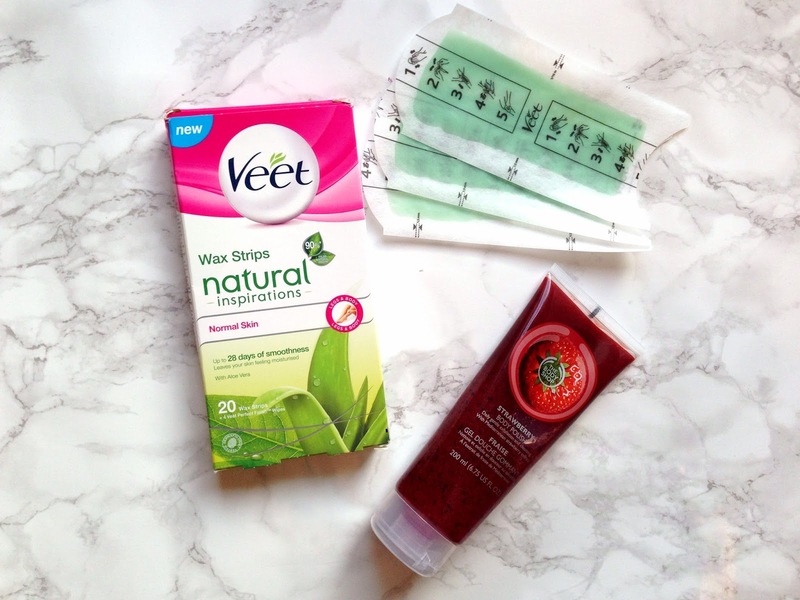 So when Veet got in touch and asked if I would like to try out their Natural Inspirations Wax Strips* I figured I'd bite the bullet and give them a go. To prepare I had a bath and used this The Body Shop Strawberry Body Polish that I won in Robowcop's giveaway. It smells amazing, exactly like strawberry and is a nice light exfoliant. After dying off it was on to the next step. I've had my legs waxed professionally once I think, but I've never used an at home kit, but I figured I'd give it a go. 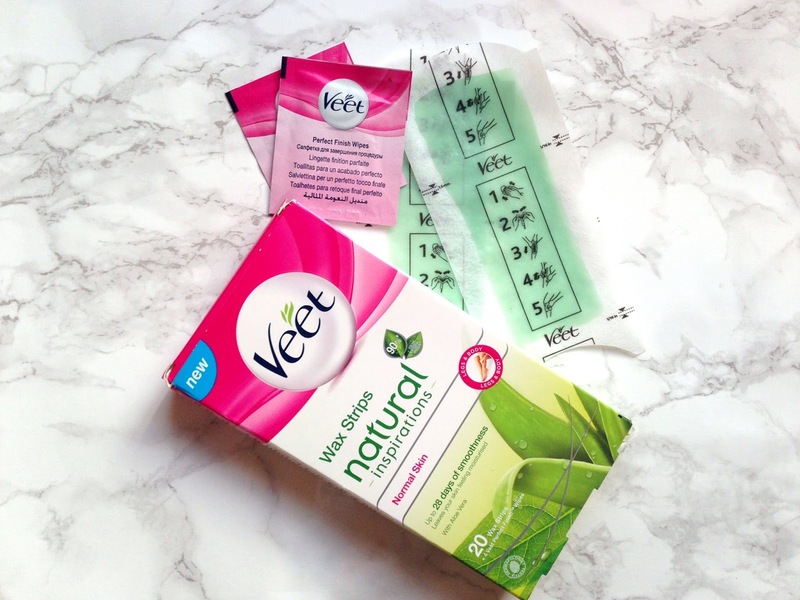 These Veet Wax Strips claim to 'give you long-lasting smoothness for up to 28 days', this is quite a big claim, and as shaving seems to last like a day I'm hoping this will last a little a bit longer for me. Containing aloe vera these strips are supposed to leave your skin moisturised and soft. Firstly, these strips are very easy to apply, and easy to rip off, once you work up the courage of course! I found that one strip would work on 2-3 sections, having very pale leg hairs did make it a bit more difficult as I couldn't see where I'd already been, its also a slightly time consuming activity but I guess you only have to do it once every few weeks so that makes up for it. I guess what you're all wanting to know, is how much does it hurt? To be honest, not that much, I mean the immediate ripping the strip off, does sting but not so much that you don't want to carry on. It's ok. Overall I think these products are great for at home waxing and a good way of guaranteeing hair free legs for a longer period of time, however I've definitely missed a few bits, and some areas are a little bit prickly so I don't know if thats down to me not getting all of the hairs or the strips not working as well. I think if you have dark hairs these would be easier to use as you can kind of see where you've been! As it's only been a few days since I braved it and waxed my legs I can't tell you how long it lasts for, but they're still pretty smooth now. Now my legs are (pretty much) hair free, it's time to give them a bit of colour. I'd always say to wait at least a day between waxing and applying tan to your legs as your skin will be sensitive post waxing. 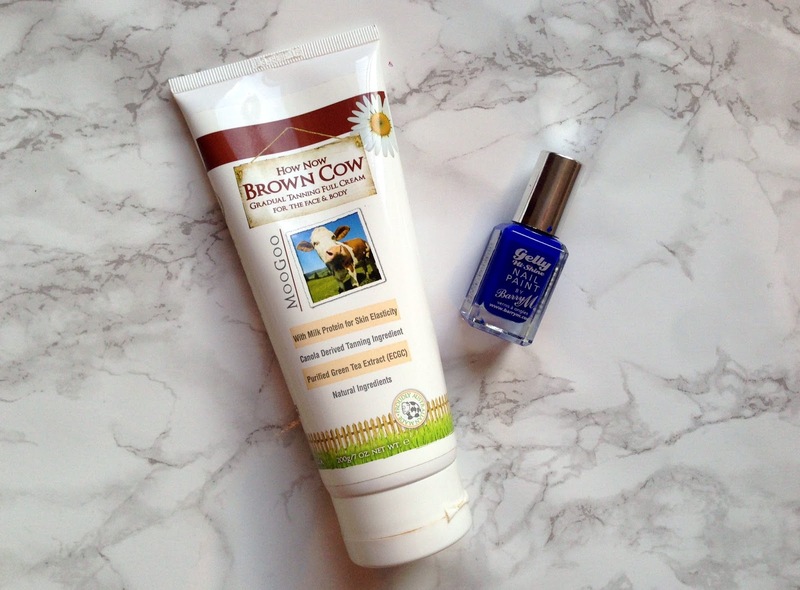 I've been loving the MooGoo How Now Brown Cow gradual tanning moisturiser for giving my legs a gorgeous natural, streak free tan, it's not a heavy colour but is perfect for me as I'm very pale! Look for a review of this coming soon! Finally to finish off I'll paint my toes to add a bit of colour and so they look pretty in sandals. I love bright colours on my toes in Summer and this Barry M Gelly High Shine in Blue Grape is the perfect shade. After all these many steps my legs are finally ready for Summer! 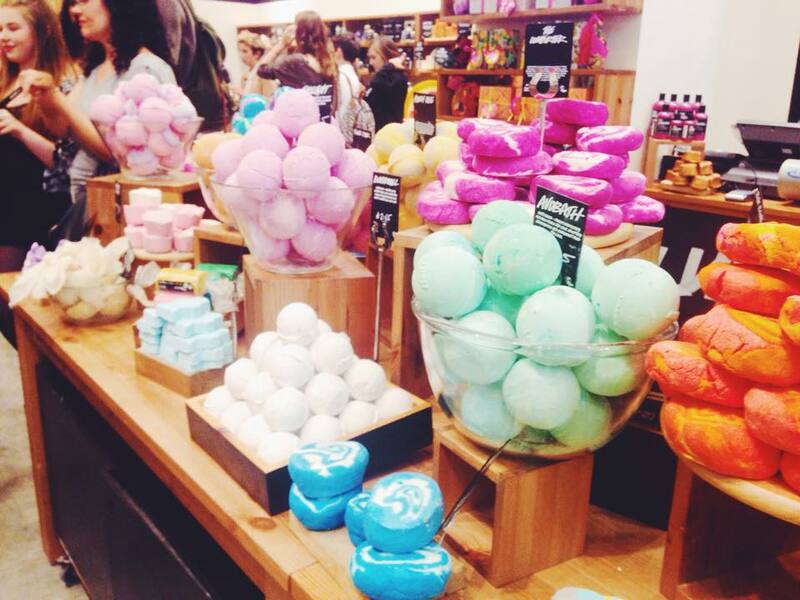 I do love a little pamper so this is something I like to do every once in a while and to help me feel more confident. I'd love to know what your steps are for getting 'Summer Ready'? 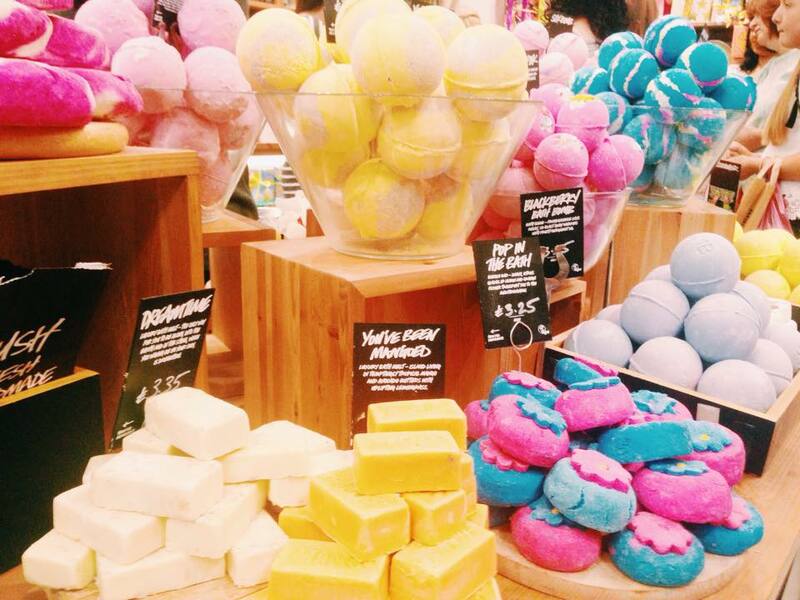 Or your favourite thing to do when you want to give yourself a little pamper? *Veet provided me with the Wax Strips for a review. However all thoughts and opinions are my own. 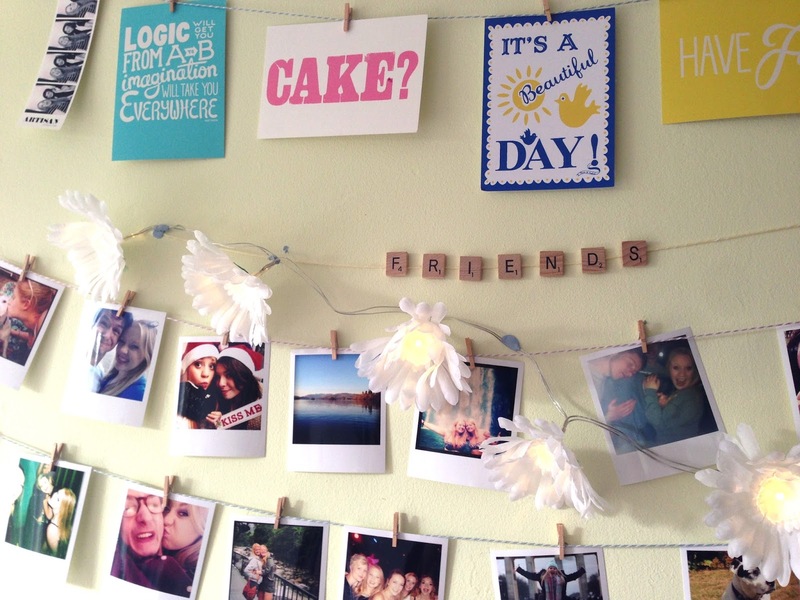 I was recently tagged by 3 fellow bloggers to do the 8 Photos of Happiness tag. Sarah from The Scarlet State (who is amazing and you should definitely follow), Lauren from Food, Thoughts, Life and Emily from Emily Underworld all tagged me in this so I figured I'd join in as this is such a lovely positive tag. The tag was created by Ariel's Little Corner of the Internet and basically involves sharing your 8 photos of happiness. This was very difficult to narrow down. I wanted to include at least one photo with each of my closest friends, and as I have lots of different groups of friends that wasn't the easiest, so I may have slightly cheated with a little 'photos that almost made it' section at the end. Hope you don't mind and enjoy a little peak at some of the photos, in no particular order, that make me very very happy. You've probably seen this one in every one of our #BloggerSleepover posts, but I had to include it. I wish all of my wonderful blogging friends could have been there so we could finally have a group photo, but for now this will do to remind me of how lucky I am to have met a group of girls so wonderful, funny, and caring. This is, and probably always will be, my favourite photo of me and my best friend Cat. 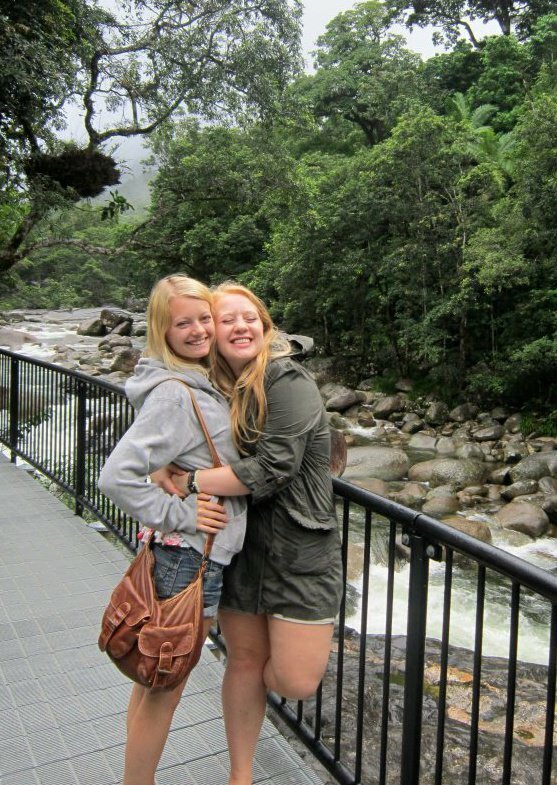 Taken during our 3 month trip in Australia it sums up our friendship perfectly. I've never had someone in my life who just gets me so perfectly. She's the one. 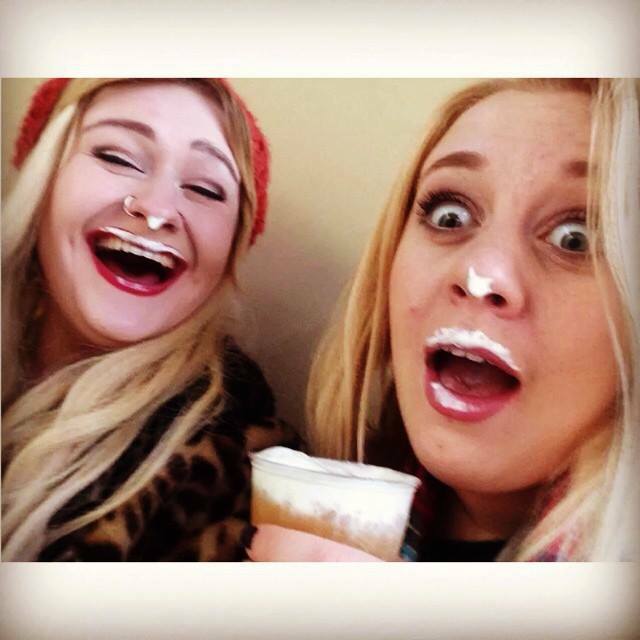 This girl is the funniest person I know and this photo of us at the Harry Potter Studio Tours, which you can read about here, always makes me chuckle. 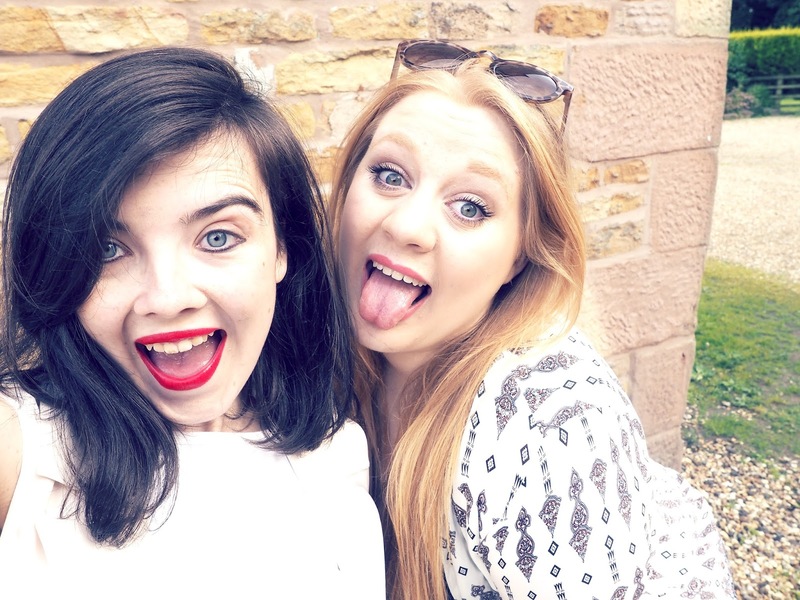 We had the funniest day together and I'll always remember it. This needs no explanation. 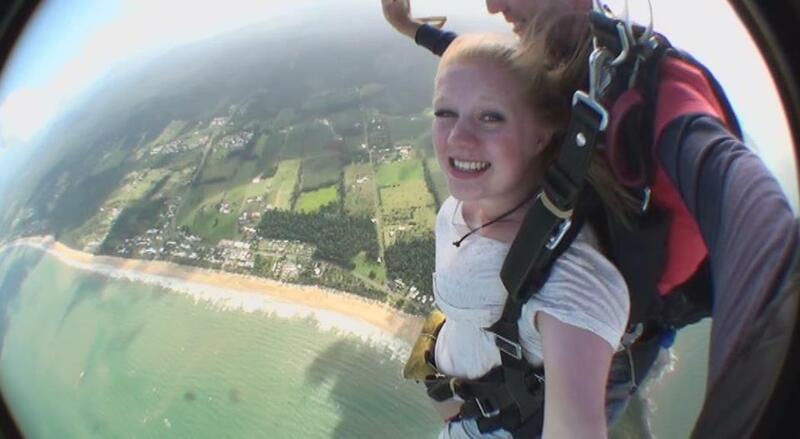 The best experiences of my life, skydiving over Mission Beach in Australia. These girls have been a huge part of my life for a very long time now and even though we've been spread across the country we've always managed to stay great friends. We've grown up into women together and they've shown me what amazing friends are. They're my girls. 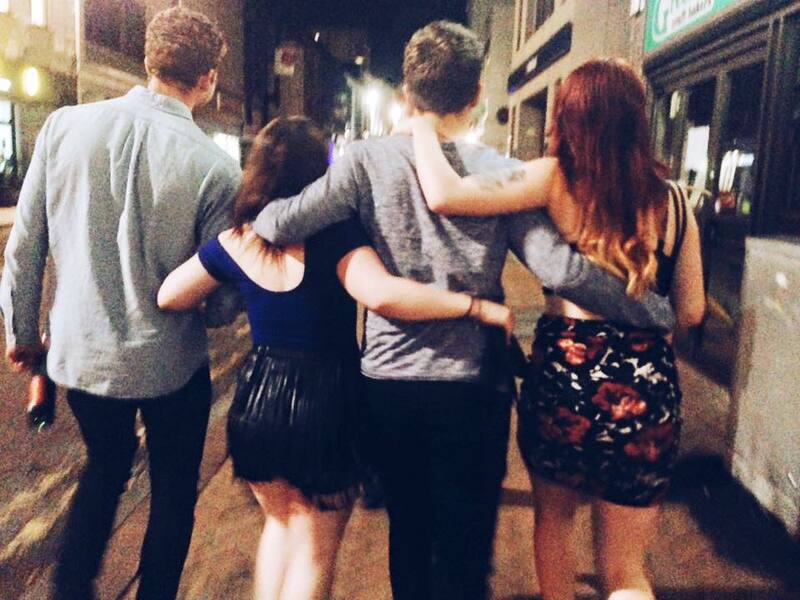 My final year of University was filled with amazing times with these kids. My little dysfunctional family, we may argue, never be able to decide what to watch and never clean, but these people were there for me in some of my hardest times, they love me and I love them very much. They feel like family to me and I want them in my life forever. This photo represents Uni for me. 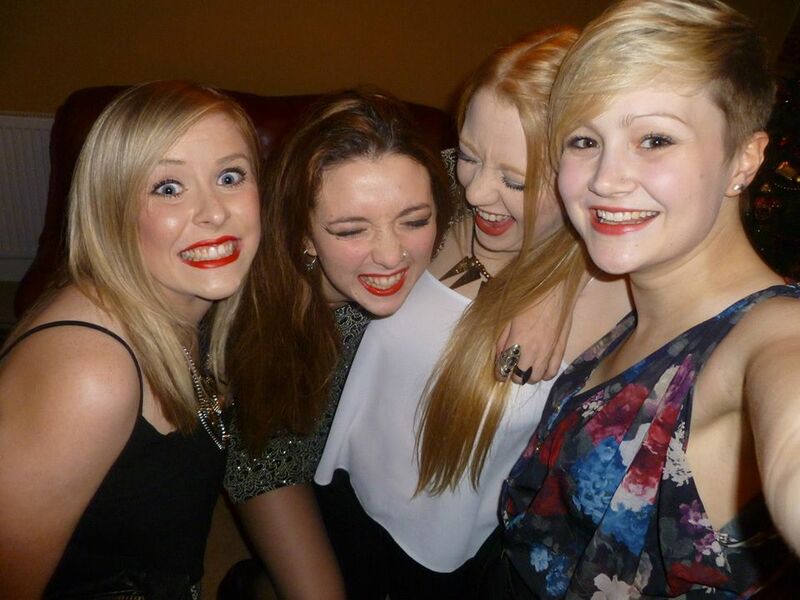 Amazing friends, amazing times. 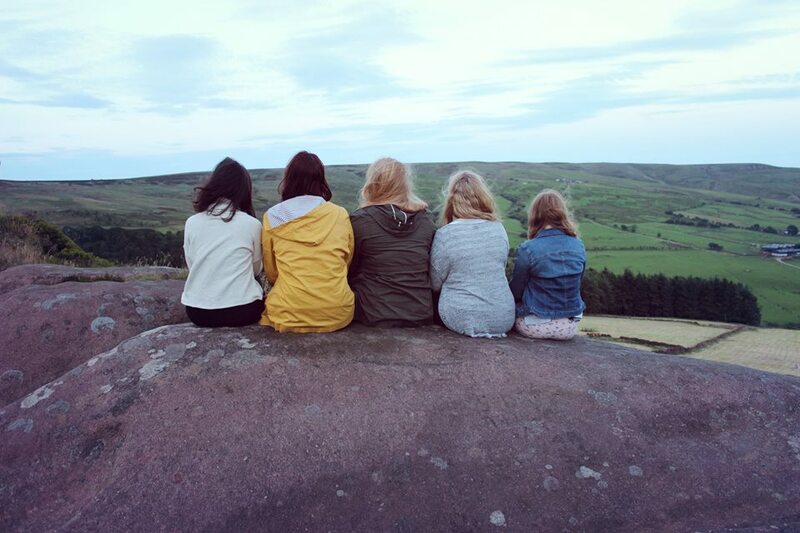 I've met people who have changed my life and uni was one of the best experiences of my life, I wouldn't change a thing and it breaks my heart that I don't live 5 minutes walk from some of the best people I know. This photo is from our trip to the Lake District. 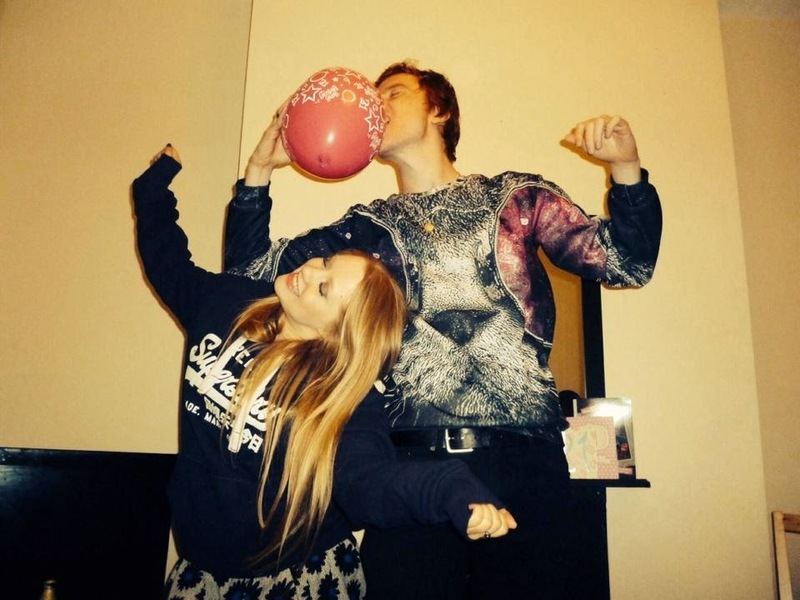 He means the world to me and he's my best friend. I've never met someone who I just want to talk to all the time. He drives me crazy, we have our ups and downs, but something has kept us together and I love my life with him in it. I hope you liked a little look into my life via some of my favourite photos. I'd love it if you did this tag too, so I tag everyone who is reading this! Make sure to leave me a link in the comments.